American Federation of Teachers (AFT) President Randi Weingarten is scheduled to hold a Friday, February 8 press conference at Woodland Hills Academy to announce a $150,000 grant to the United Teachers Los Angeles (UTLA). The grant is aimed at helping teachers create strong school improvement plans and prevent the need for any additional “parent trigger” actions in LAUSD. 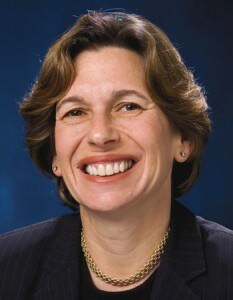 Weingarten’s appearance signals the importance of UTLA and the parent trigger issue to the national union. The event will also serve as a media opportunity for Westside District 4 School Board incumbent Steve Zimmer, who is scheduled to appear along with UTLA President Warren Fletcher. UTLA has endorsed ZImmer and its independent expenditure committee has requested campaign funding from the AFT. AFT is holding the press conference at Woodland Hills Academy because back in 2006 it was the first school to operate under the Expanded School-Based Management Model (ESBMM), one of three different school autonomy models that teachers can opt into becoming when writing school improvement plans. “This school stands in stark contrast to the parent-trigger petition effort at 24th Street Elementary School,” notes the AFT advisory.